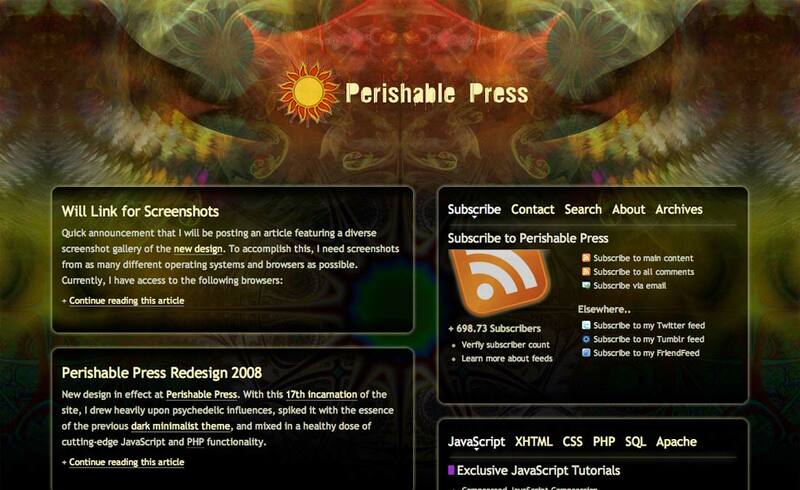 If I had time, I would write a book chronicling the evolution of Perishable Press. Probably only a few would read it, but I enjoy going back and thinking about all the crazy stuff that has happened in order to get the site to where it is today. Taking a 50K-foot view and looking back, it’s all about finding balance, focusing on the positives, and working past the negatives. Freedom — Being your own boss, making your own rules. People — Get to work with some truly awesome people. Projects — So many incredible projects, so little time. Sharing — Sharing is caring and makes me feel happy. Helping — Helping others in the community is inspiring. Growing — The Web presents unlimited growth potential! 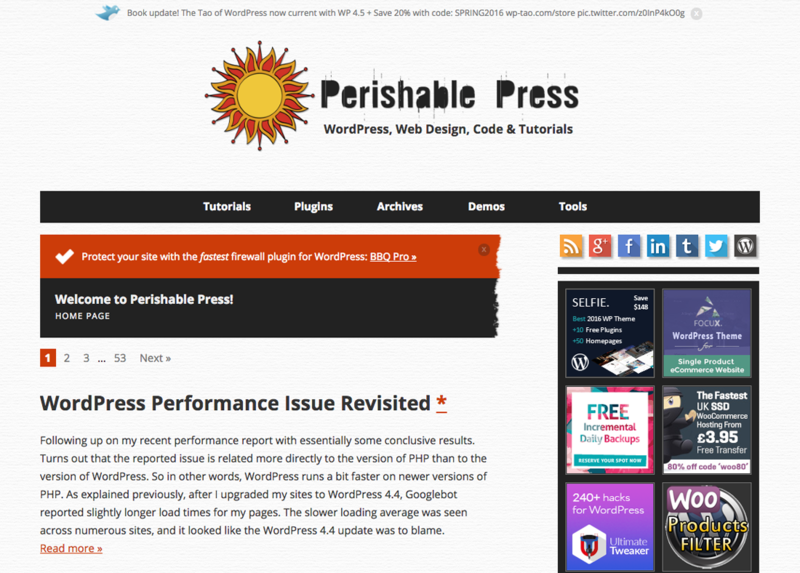 Web Hosts — Getting harder to find good hosting. Inflation — Everything always is getting more expensive. Regulation — Don’t even get me started on this one. Shelf Life — Constant change means building on shifting sand. Uncertainty — Can’t depend on anyone but yourself these days. Trolls — The Web was better before it was easy enough for anyone to use. But overall, the pros usually outweigh the cons. It’s just frustrating sometimes trying to “keep up” and deal with all the nonsense. I think it is better to find a balance between consistency and change, instead of mindlessly pushing for constant change above all else. Life’s too short, people. Closing out the set, here are some basic site statistics to give you an idea of what 14 years of work can accomplish. Additionally, during recent site renovations I’ve deleted around 150 posts for being too far off-topic, thin content, etc. You can find a complete summary of the site’s content in the Archives. I love my work and enjoy helping people learn about web development and security. 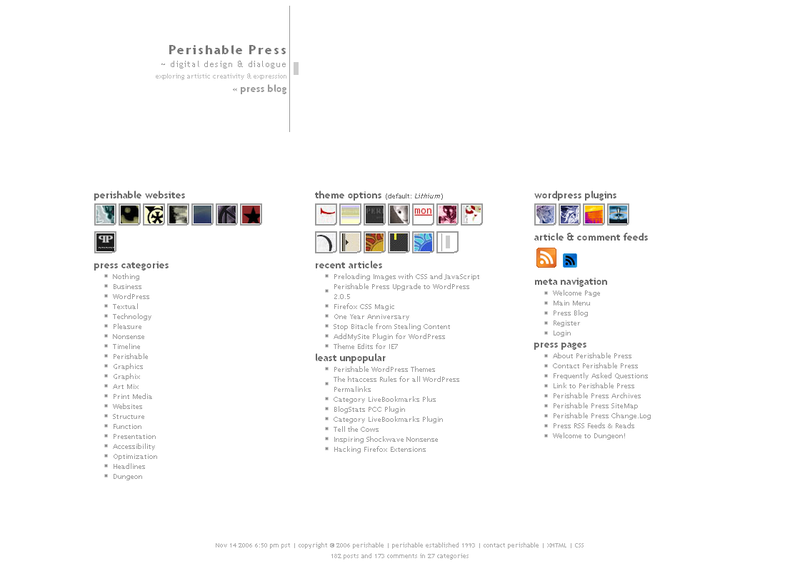 Thank you SO MUCH for everyone who has visited, shared, commented, and supported Perishable Press over the years. 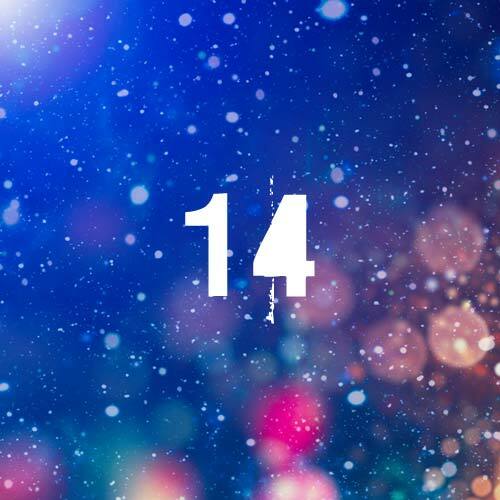 Here’s to another 14! Will start beta testing your 7G Firewall today or tomorrow. Congrats Jeff!! You da man. Happy 14th birthday! Congratulations! Looking forward to many more years! Happy 14th birthday! Congrats Jeff for your passion, implication and efforts on security stuff. That means you’ve not only watched the changes in the trends of web-design and general internet, but you have also ridden those waves of changes. “Surf’s Up!”, to perhaps, another fourteen years? Gasp! Maybe even *contributed* to those wild waves..?? I’d like to think that I played at least a small part in what’s been happening. In any case LOL Thanks Jim and yes here’s to another 14 years!